After experiencing a user decline in Q2, Snap is turning its head towards an older generation of social media users. A leaked company memo written by Snap CEO Evan Spiegel, detailed plans for the social app to undergo a makeover in order to appeal to an older demographic. Snapchat's current userbase is predominantly young, but older users will generate more revenue on average. The platform needs to "mature" before it'll appeal to anyone who doesn't just want dog filters. "Most of the incremental growth in our core markets.. will have to come from older users who generate higher average revenue per user. Growing in older demographics will require us to mature our application," Spiegel said in the memo. "Changing the design language of our product and improving our marketing and communications around Snapchat will help users understand our value . . . aging-up our community in core markets will also help the media, advertisers, and Wall Street understand Snapchat." The platform took a hit earlier this year after launching an unappealing redesign. Spiegal was warned that the new look would result in negative feedback. Since then, Snap has been shifting tirelessly to try and regain some of those lost users. 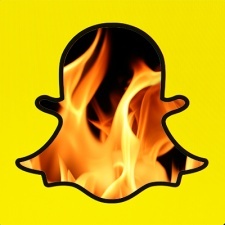 “In our excitement to innovate and bring many new products into the world, we have lost the core of what made Snapchat the fastest way to communicate." "We slowed down our product and eroded our core product value. Regrettably, we didn’t understand at the time that the biggest problem with our redesign wasn’t the frustration from influencers – it was the frustration from members of our community who felt like it was harder to communicate." Snap's shares are also currently at an all-time low of under $7.